“Live long and prosper.” Most people are familiar with the Vulcan greeting of Mr. Spock in the television series “Star Trek,” which debuted in 1966 and went off the air just one month before Neil Armstrong became the first man to walk on the moon. Growing up in Decatur, Illinois, Robert Dennis was fascinated by “Star Trek” and its vision of outer space and space travel. Both the reality of the moonwalk and the fantasy of “Star Trek” fueled Dennis’ desire to be an astronaut. Unfortunately, poor eyesight and a growth spurt dashed his hopes of physically traveling in outer space. But he could still dream about it. “I realized right then that if I couldn’t get into space as an astronaut, then maybe I could go to California and make a movie about space,” he says. To do that, he would have to do more than dream. He would have to learn the art and science of cinematography. So Dennis set his sights on SIU. During his first few days on campus, two things surprised him. The first was a professor who announced to a room full of new students that “if you are in this class to get a job in Hollywood, you may as well walk right out the door.” At that defining moment, Dennis decided that not only would he go to Hollywood, but that he would become a success as well. The other surprising revelation was that filmmaking had little resemblance to the shows he had watched growing up. Upon graduating from SIU, Dennis got his master’s degree from the University of Southern California, a widely respected film school that also claims George Lucas as one of its most accomplished alums. Dennis soon met his wife, Patricia, also a USC alum who now serves as senior vice president for The CW television network. Dennis’ career included working at Lucasfilm, becoming elected as president of the Large Format Cinema Association and serving as a director of post production for HBO Pictures. Dennis also served on a post supervision team for film restoration and preservation at Walt Disney Studios as well as overseeing the 70mm “IMAX” laboratory services at Technicolor. While he and his wife forged successful careers in the challenging world of filmmaking, the couple also shares a strong commitment to the power of education. 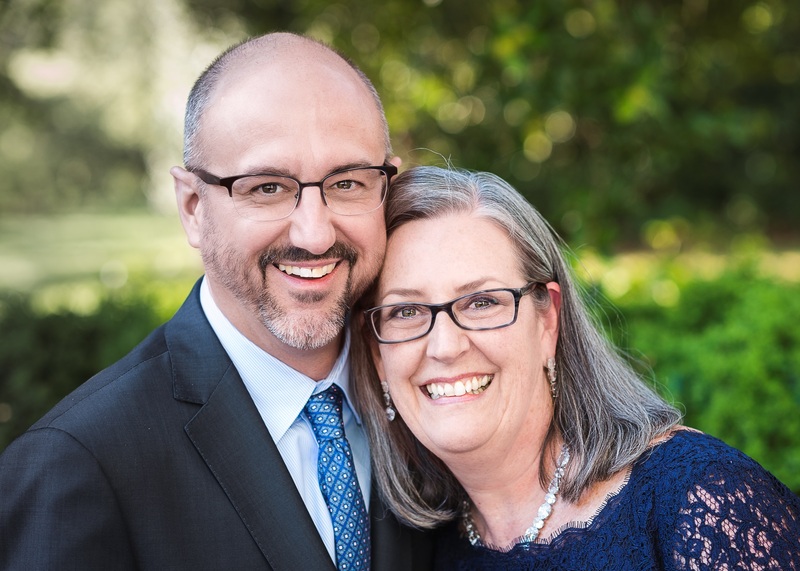 While Robert and Patricia Dennis have certainly fulfilled that goal, they understand that others may need a hand to do the same. Several years ago, the couple established the Robert Dennis Filmmaking Award, which is given to an outstanding SIU student filmmaker for his or her accomplishments in cinematography. This past spring they began revamping their wills and recognized it made the best financial sense to establish a revocable family trust. With no children of their own and no extended family members to provide for, the couple determined that they wanted to see most of their estate gift go to youths who really need the help. They both immediately thought of SIU. The Dennis’ estimated $1.3 million gift is the largest estate gift in the history of the College of Mass Communication and Media Arts. WICHITA, Kan. (Nov. 17, 2016) – Cessna Aircraft Company, a subsidiary of Textron Aviation Inc., a Textron Inc. (NYSE:TXT) company, today announced it has selected the following university partners for the 2017 Top Hawk program: Eastern Kentucky University, The Ohio State University, Auburn University, Southern Illinois University and Louisiana Tech University. Each university will take delivery of a new, custom branded Cessna Skyhawk 172 aircraft in early 2017 to support flight training, recruiting efforts and promotional activities at their respective universities throughout the year. Textron Aviation continues to seek top aviation programs to collaborate with and support the advancement of general aviation and the modernization of aircraft training fleets. The company currently works with several universities, training organizations and flight schools throughout the world to support the next generation of aviators and the Top Hawk program plays a vital role in this strategy. 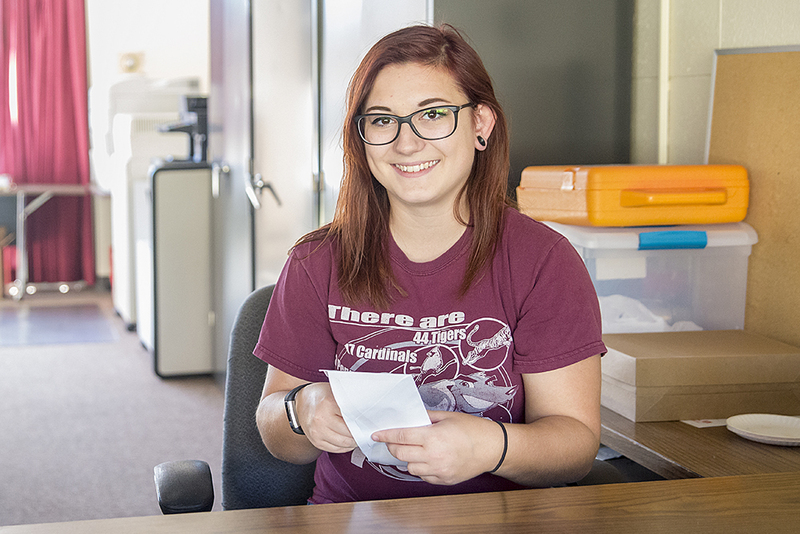 The SIU Foundation has a team of dedicated students who call alumni in hopes of raising support for a variety of college funds. Although this challenging job is a group effort, there are opportunities for students to achieve individual milestones during their employment. Melissa Hull is one of those students. After two years with the SIU Foundation, Hull has successfully raised $25,000. She began as a student caller in 2014 and worked her way to a student supervisor role last year. Her supervisory position keeps her busy as she is responsible for a lot of different tasks. The student callers have a different perspective of the university since they are connecting with alumni on a regular basis and Hull has been a part of many positive conversations with alumni who loved their time at SIU. Hull remembers her first $1,000 pledge from an alumnus. They talked on the phone for over forty minutes. During this time, he shared stories from his time as a student, his current employment as well as other interests they found to have in common. Hull was very excited once she hit her $25,000 milestone. The pledge was from a generous alumnus who loved SIU and wanted to give even after his retirement. He was so happy to contribute support to students especially with the current state budget crisis. Melissa Hull is a senior majoring in Zoology with a specialization in Pre-Veterinary Medicine and a minor in Chemistry. She has plans to attend veterinary school to receive her DVM. Her focus is on small companion animals and dreams of working in a no-kill animal shelter after completing her education. It was a scholarship opportunity that brought her to SIU. With access to a more affordable education, Melissa understands the value each gift makes in the life of a student. SIU is working to change statistics where 31% of students on campus need food assistance. 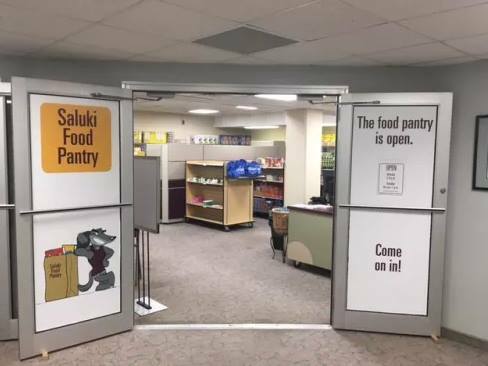 The Saluki Food Pantry is located on the lower level of the Student Center. The mission is to serve food students who lack resources to purchase nutritious food. This provides an opportunity for SIU students to serve other students and engage in a conversations and solutions around food insecurity. SIU believes no student should have to choose between essentials such as food and the costs of college while trying to obtain a university degree. Support the Saluki Food Pantry by bringing in donations or making a gift on the Saluki Food Pantry crowdfunding page. Strong Survivors is currently seeking donations through SIU Foundation’s crowdfunding platform. A donation to Strong Survivors SalukiFunder will help this program raise funds for new treadmills. This will benefit participants as well as the SIU student staff members using the SIUC Cancer Rehab Lab. The cancer survivors and caregivers will have the opportunity to exercise on a safe, comfortable and state of the art treadmill. The student staff members will be able to better assess and evaluate the exercise programs and the participants’ cardiovascular capacity. Strong Survivors Exercise and Nutrition Program for Cancer Survivors and Caregivers utilizes exercise as a therapeutic tool to help cancer survivors and caregivers get through the treatment and recovery process. Co-sponsored by the SIU Department of Kinesiology and the Southern Illinois Healthcare Cancer Institute, this free program is created and administered by SIU student staff members who have completed the Strong Survivors Staff Training Class. You may make a gift in honor or in memory of a loved one. To make a donation, visit Strong Survivors SalukiFunder. “In the early 70’s, I graduated from SIU with an Associates Degree in Electronics Technology. The college was called VTI at that time – which I think later merged with the engineering and schools. In those days we were on the quarter system so we had opportunities for a wide exposure to the field from vacuum tubes to integrated circuits to binary fundamentals. I even earned a commercial FCC radio telephony license as a result of an RF and Radio class. It wouldn’t have been possible without that great foundation I received at SIU. I felt I had an excellent understanding of the fundamentals of electronics even though it was packed into 2 years. My thinking was verified when I was hired by GE to work in their Advance Development Lab to assist in the development of quadraphonic FM. 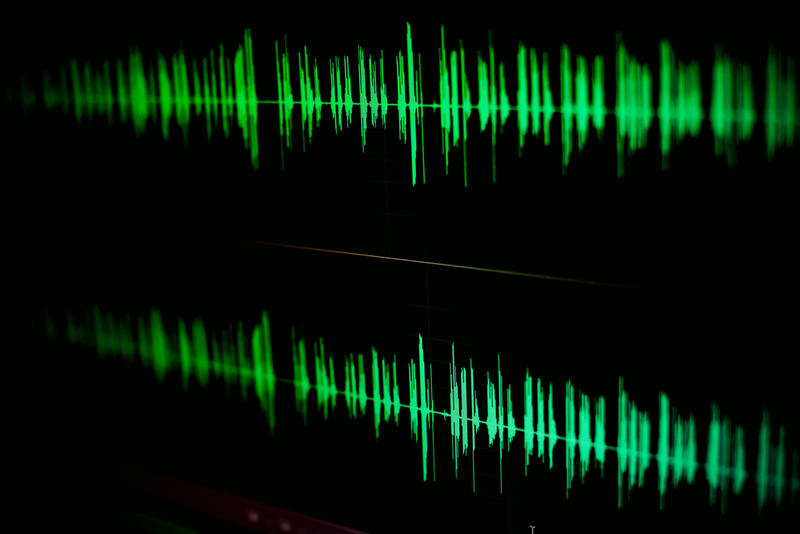 I was fortunate to have worked with the inventor of stereo FM for a couple years. After GE, I moved to Caterpillar Tractor Co. where I worked at their technical center. I was assigned a job to apply Radio Frequency FM transmitters on moving engine parts to transmitted sensor information such as temperatures to external recording devices. Later, computers were moving from the DP (data processing) mainframes to more powerful and smaller units. I moved to an area to work with a team to design and build an integrated measurement and control system to automatically hot test diesel engines. The test would run the engine through a number of performance cycles and measure the various temps, pressures, torques, fuel rates, etc. Later, as the Internet developed, I was blessed to move to a team in the early stages of network security (firewalls).